This soccer ball is fitted with high air retention latex bladder butyle valve. This category of ball is available in different sizes, colors & textures of PVC. 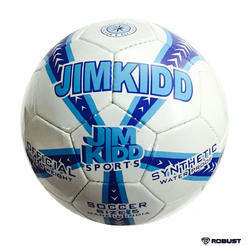 PVC Soccer Ball is manufactured by our professionals having good experience with the industry laid standards & norms. 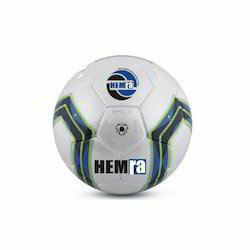 Offered PVC Soccer Balls are highly appreciated among the clients for their remarkable quality attributes. Latest designs and wide range of colors to choose from, balls can be customized to bear any logo/ slogan/ banner, guaranteed workmanship.top grade material used. We are an exporter and manufacturer of PVC Soccer Ball for junior club Level matches.These can be availed from us at very affordable prices. 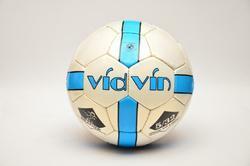 To cater the variegated demands of our customers, we are highly engaged in trading a wide array of PVC Soccer Ball. We are a reputed entity, engaged in offering a qualitative array of PVC Football.